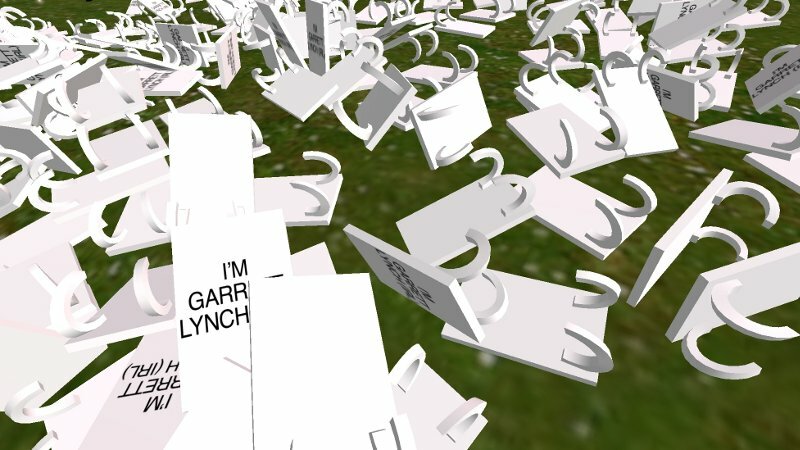 Above: Video documentation of the performance I’m Garrett Lynch (IRL). 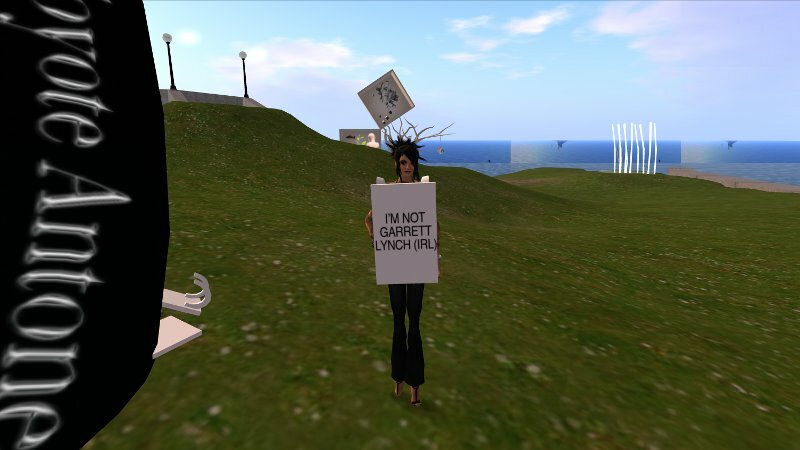 I’m Garrett Lynch (IRL) was performed for the first time on the 28th of May at 12pm SLT (8pm GMT) as part of 44 Hours of Cornucopia Momentum by Bendix Freutel (Eifachfilm Vacirca in Second Life) running from the 28th – 30th May 2010 at Odyssey Art and Performance Simu in Second Life. 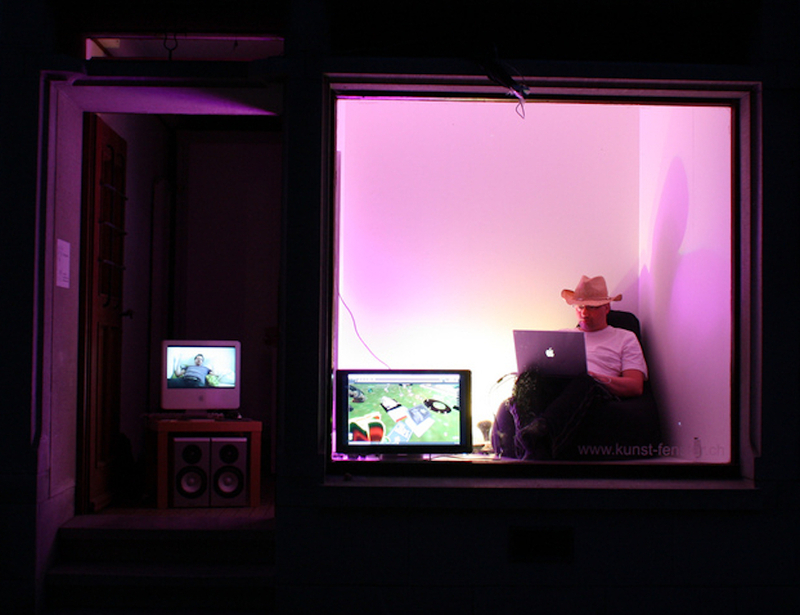 Performances were also simultaneously broadcast in Switzerland at the Kunst-Fenster Reigoldswil (Reigoldswil Art Window). 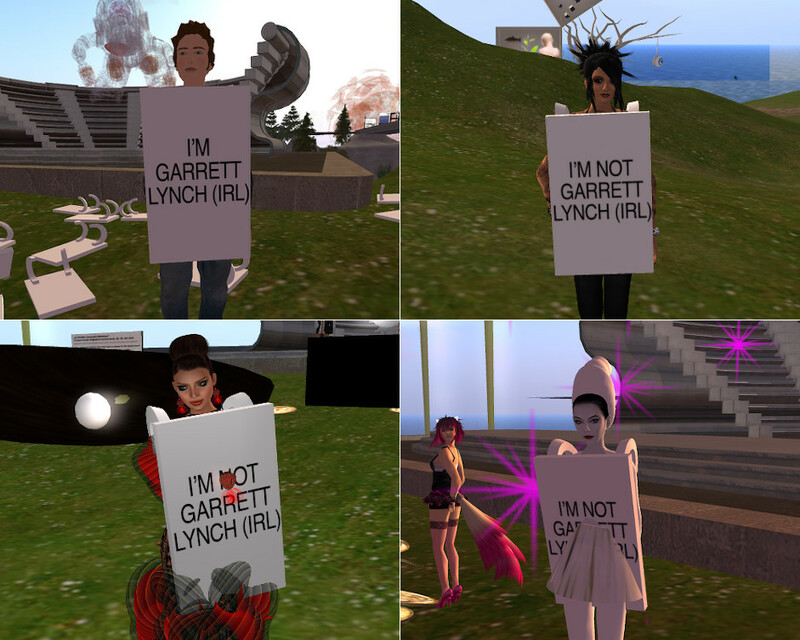 Above: Click image for a gallery of performance photos. 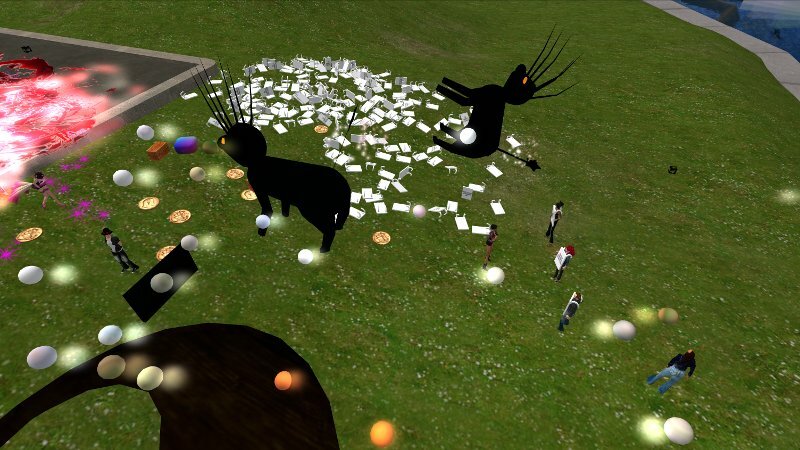 The performance continued ideas of the artist, identity and being from the works Between Saying and Doing and On Exactitude of Similitude. 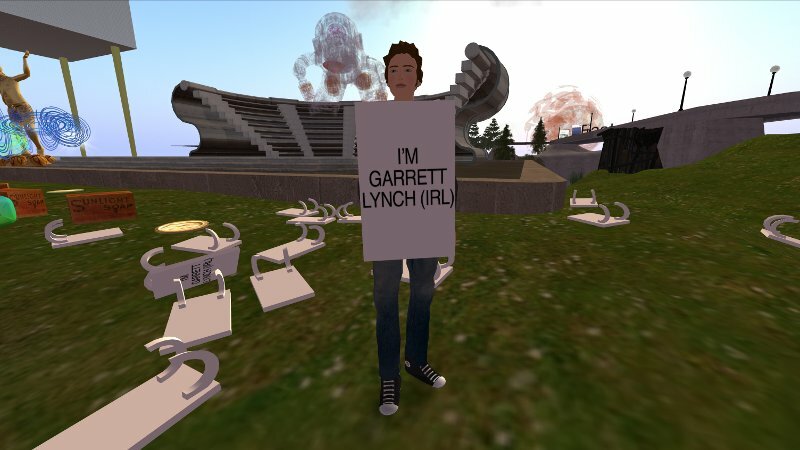 The artist, wearing his now usual sandwich board, generated two hundred visually identical sandwich boards for participants to wear while all but taking control of the chat window to focus discussion on topics including identity, location, representation, original and copy, ‘reality’ and fiction. 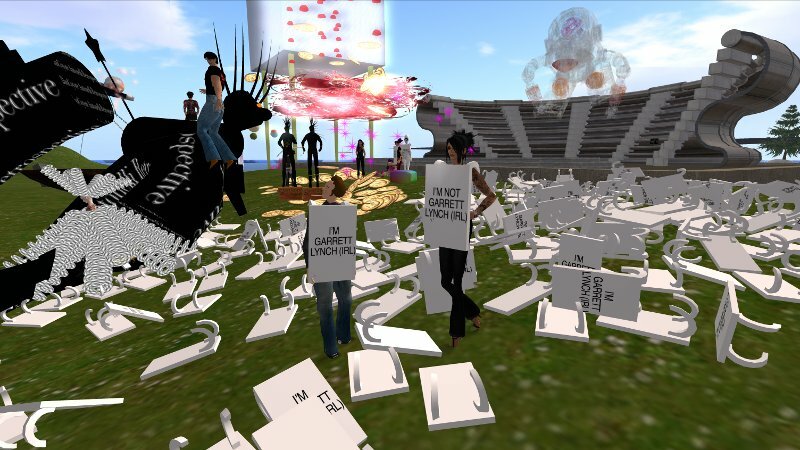 The performance lasted approximately 23 minutes and the remaining sandwich boards were left for the duration of the event at Odyssey for visitors to take. 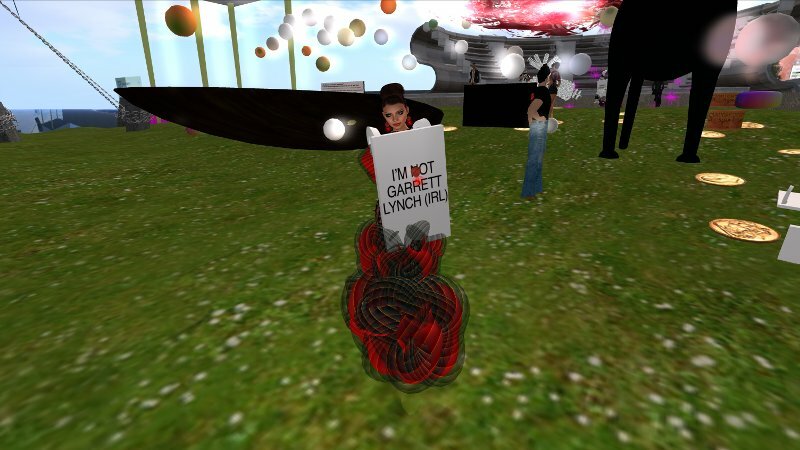 Fau Ferdinand says: I’m not Garrett Lynch (IRL). 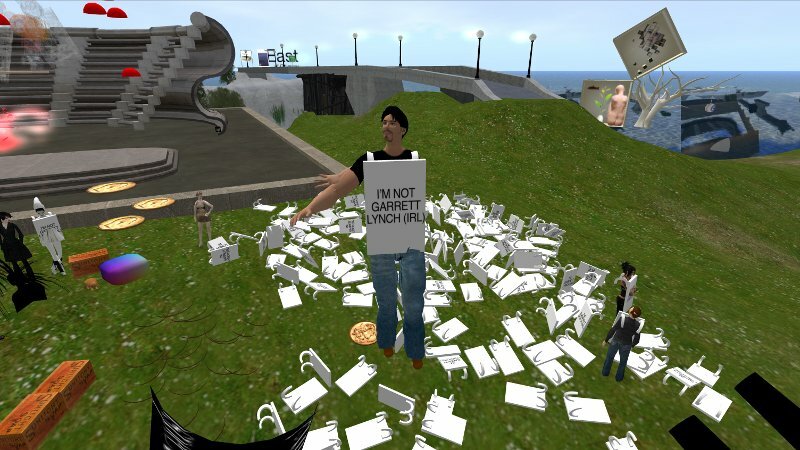 Above: The performance location in Second Life. Above: Kunst-Fenster Reigoldswil (Reigoldswil Art Window) in Switzerland. 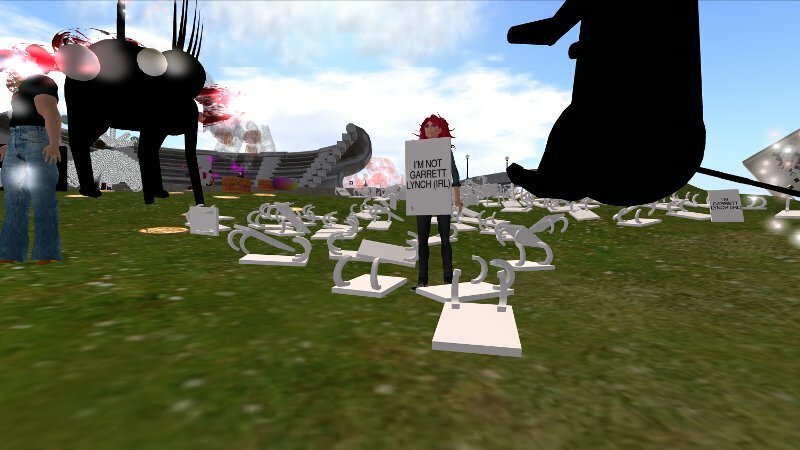 A Flickr image gallery of all performances held during 44 Hours of Cornucopia Momentum can be seen here and a documentary of the event can be seen here.